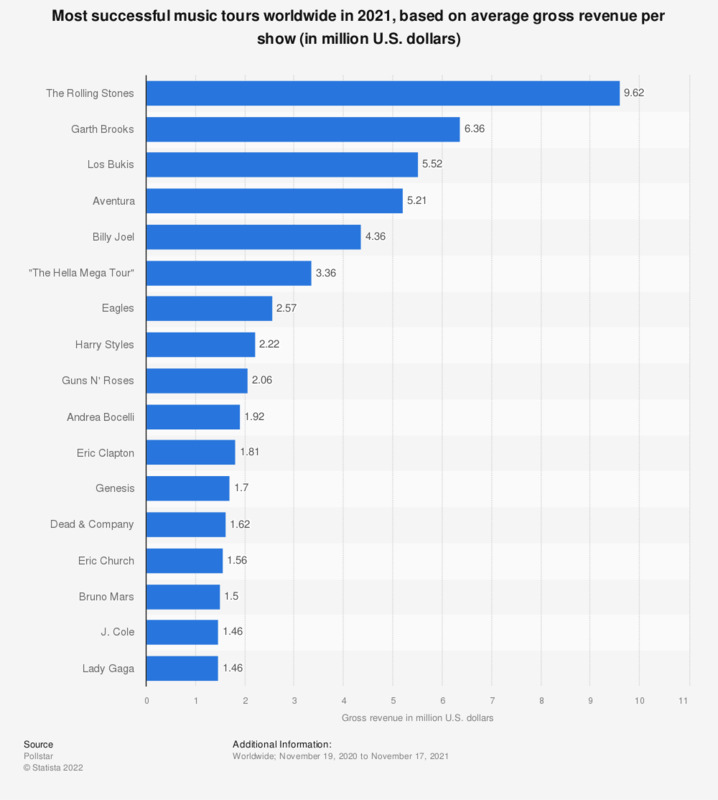 This statistic shows the most successful music tours worldwide in 2018, based on gross revenue. At the top of the list was the tour of Ed Sheeran, which generated a gross revenue of 432.4 million U.S. dollars. Who would you most want to see with your daughter? Which band would you go back in time to see? If you had the possibility, which musical show would you prefer to see?